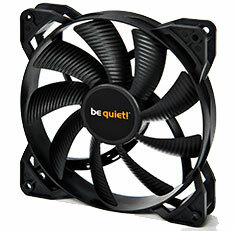 The Pure Wings 2 120mm PWM high-speed fan brings exceptional be quiet! 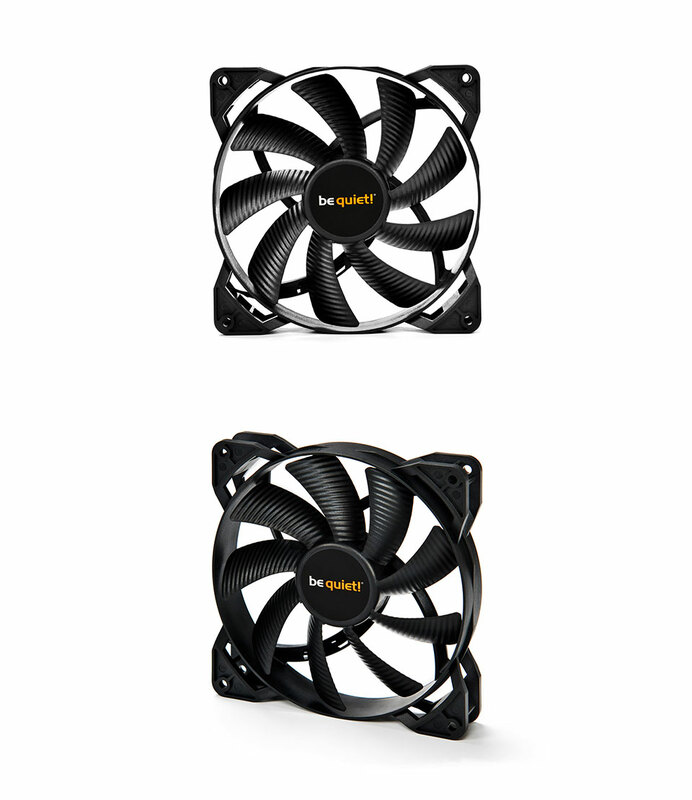 cooling to entry level computing. The extremely high air pressure makes it a perfect choice for powerful water- and air-cooled systems. 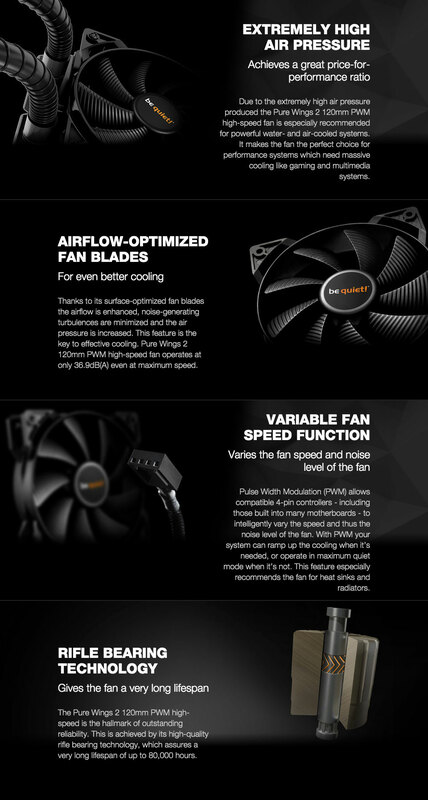 Pure Wings 2 high-speed fans offer outstanding reliability and exceptional cooling for a great price-performance ratio.